Combine baking powder, nutmeg, flour, and salt in a bowl. In a separate bowl cream butter and sugar. Add in eggs and vanilla. Slowly pour in flour mixture into the cream mixture. Add egg nog. Spoon batter into greased/floured pans until ¾ full. Bake in preheated oven for 40-50 minutes. Insert toothpick into the center and bake until it comes out clean. 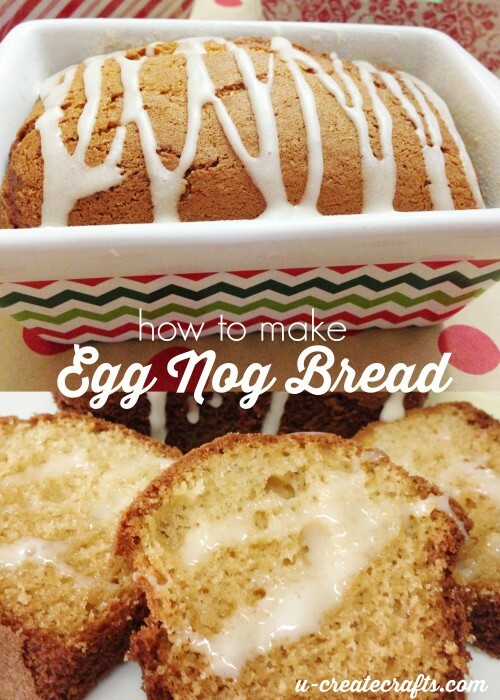 For the glaze: Mix together egg nog and powdered sugar until it becomes an icing consistency. Drizzle over cooled bread.